experience I had. Now, I am totally thankful and even happier living my purpose in life, by bringing Health and Wellness to this world through Massage Therapy. Following a brief consultation, you can expect a blend of modalities tailored specifically for your bodies needs and the issues you want to be addressed. 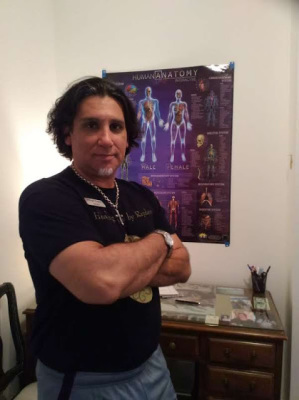 My specialty really comes down to fixing issues whether it be pain or stress and with a heightened sense of awareness and intuition brought into every session, you are sure to experience one of the best, if not the best massage of your life. I I have helped clients avoid surgeries, get rid of chronic pain, improve body structure and deliver results.